Young Adult Sunday School Group Launch! 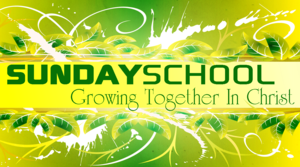 On Sunday, September 13, 2015, SCBC will be launching a brand new Sunday School group for young adults! The group will be led by Chris Miniard, and will meet all Sunday mornings at 10:00 am. If you fall in approximately the 18-40 age range, come be a part of our brand new class launch! You can reach out to Chris or Pastor Jake via the "Contact Us" page on our site for more details.